I lost my friend, neighbor, and hunting partner yesterday. He was 93 and outlived his son, two younger brothers, and several close cousins. His wife is still alive, and I ask for your prayers for her. She is 89 and healthy, but she is in the early stages of Dementia/Alzheimer's, and I worry about her being alone now. I had the luck to be able to hunt and spend time with Louis over the last 20 years. He was more like a Grandfather to me I guess. Louis grew up during the depression, joined the Navy at 17, and served in the pacific theater during WWII, piloting landing craft during the island invasions. Other than family and God, the only things Louis cared about was Hunting, Fishing, and Baseball. He could hardly get around this last year, but I still took him hunting most every Saturday. He had no business being in a deer stand, but I wasn't going to tell him no. The one time I expressed concern about him climbing up into his stands (I had to physically support/push him and help him move his feet up the inclined ladder) he said "Don't worry about me, if I die, I die." I'll tell you my favorite story about Louis. His ship was on the way to Japan when the war ended, so they turned around and went to Pearl Harbor. He was stationed there until his duty ended. After he got settled in, he said he went downtown and came across this brothel with a line of sailors that came out the door, ran down the street and around the block. Louis said he got in line and stood there for over an hour. About the time Louis got close to the front door, another sailor walked up and said "Is that the line?" Louis said, "Yep, you can have my spot in line for $2.00." Lol - Growing up during the Depression, he was always looking for a way to make an extra buck. the greatest generation ! sorry for you loss ! I will keep prayers for you and Louis' family. That generation was one of a kind. My dad, and my father-in-law were both of that era...salt of the earth and great folk. I read about the cathouses, (don’t remember where) in the last couple years. Each soldier was allowed 3minutes. I wondered about the guy that held the stop watch; what spin did he put on it when grandkids asked what he did in the war lol. Prayers up for your buddy's wife and you also Richard. Sounds like a great neighbor and friend. You have my condolences. Sorry for the loss of a good friend and a great man Richard . So sorry for the loss of a good friend, May the Good Lord Bless him and his wife. Sorry for the loss but thanks for sharing the story. Thoughts and prayers for you and his family. Such is life, sorry for your loss, prayers kept for all. My prayers are sent. Those were Great Men, My Father fought in the South Pacific in WWII as well, fewer then 1% made it home from My Dads group. Sorry for your loss. Prayers for his wife. He sounds like an awesome guy. You are lucky to have known him. And I bet he was glad to have you as a friend. I hope somebody will help me get out to hunt when I'm an old man. Sorry for your loss. Sounds like you have some great memories. Sorry to hear of your loss Richard. Prayers lifted for his peaceful rest with God, and condolences to his family and friends. To him: Thank you for your courage in service to our country, in securing our peace. prayers sent from SM in Pa. My uncle Ken also served on a landing craft in the Pacific. We will never see another generation like that one, brave men and women. Praying for you and the family. These guys were REAL men, I am lucky to have worked with a bunch of them many years ago. My dad just turned 100, he was at navagator on a B18 bomber flying out of Hickam field in Hawaii but left for the states two weeks before the Japs attacked Pearl Harbor. I asked him if he ever went to the infamous cat houses while he was there. He said he never had a problem finding a real girlfriend and never visited the brothels. Prayers from GA. Your friend sounds like a good man. Boxcall, My dad may have transported your dad. Mine made the landing at Okinawa and Leyte among others. He was army and ran landing crafts and tanks. He said at Okinawa his drop gate was shot up real bad. I agree the WW2 era guys were great men, I had one teach me most of what I know about cattle. He was my best friend till he died. Lowcountry, sorry for the loss of such a good friend. So good that you were able to keep him hunting, I'm sure it meant a lot to him and you. That generation had some truly great men, and many were what would normally be considered ordinary guys....until duty called and they displayed extraordinary character and courage. I attended the funeral of one of the best friends I ever had last week. Tom would have been 80 the day before his funeral. He left high school at 17 to join the Air Force. After his service he returned to finish his schooling and start a family like so many others who were unsung heroes. Today I will attend a funeral of a Viet Nam vet who suffered from PTSD for years which finally took him from us. Those people were never given the honor they deserved for serving our country. The current generation of warriors also is filled with men and women of great courage and valor. I try to express my appreciation whenever I can. We own them so much. Sorry for the loss of your buddy, Lowcountry. My condolences on the loss of your friend. My prayers for the widow and my condolences to you. So sorry for the loss of your friend, another one gone from the Greatest Generation. I lost my Dad, best friend and hero, 5 years ago. He joined the Navy at 17 and was in the Gilberts, Marshall and Mariana campaigns. Had a great friend that was like a big brother to me. He was 17 and joint the army and was sent into Europe to help with the clean up with the war. 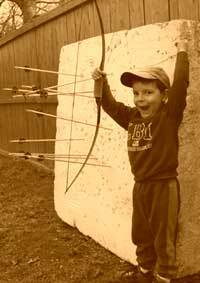 We spend a lot of time shooting archery, camping, hunting, and going to shoots. Went up to see him last summer and we talked about old times. At 89 he said he was just was wore out. Got ready to go see him about a month later and my wife told me to read the obituaries and there his name came up. Being a sliding man for a life time and still hunting from a tree stand and he never came out of the wood till it was to dark to see. I do miss this friend ever day. He sounds like a wonderful old fella and friend. Sorry for your loss, but you'll see him again. I understand your loss. Prayers from Illinois. WWII vets, heroes all! I know what it feels like. You and the family have my thoughts and prayers. Tough situation as my mom has dimentia and my father passed away last year. We kept her in her home up until she walked a mile away in the winter with no coat on and fell on a road and hit her head. We then decided to put her in assisted living where she is way better off. Do not allow this woman to stay there alone as it is only a matter of time before something bad happens. Sounds as though he lived a good life. Can't ask for more than that. Hope they say the same about me when my time comes. Glad you enjoyed your time with him and its great you helped him hunt. Enjoy the memories. Prayers sent. Just lost my uncle and he was in the Pacific Theater, and yes a Great Generation. My dad would be around 93 if he were still here. He passed on Father's Day in 1999..He was an ammunition stacked at the Naval base in Hawthorne, Nevada, during WW2..Strongest man I ever knew..Stacking 190 pound boxes of Ammo I guess..They were a different breed back then. The greatest generation were truly great and courageous men and women. Prayers for your friend's family and yours as well. My dad served in the South Pacific w/ 7 battle stars, and lost his best friend to a Jap kamikazee. They paid dearly and never complained or shirked their duty. Heroes all! Sorry to hear of the loss of your friend. Prayers sent from N.J.
Bob Swinehart would have been 90 last week.